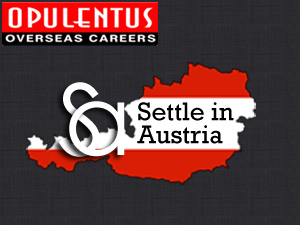 Austria provides great opportunities for international immigrants to come, work for Austrian employers and settle down with their families permanently. To streamline this flexibility, Austria Immigration has introduced a special type of scheme called Austria Red-White-Red Card. There are certain sectors of immigrants who can exclusively be benefited with this new scheme of Austria immigration and their eligibility criteria will be determined to assess their qualification to be entitled for this scheme. Austria Red-White-Red Card is applicable to only certain classes of immigrants and anyone who does not belong to those mentioned categories are not entitled to apply for this visa. Only the above mentioned classes of immigrants are eligible to apply for the Austria Red-White-Red Card scheme and upon applying, their qualification will be assessed. Interested candidates to apply for Austria’s Red-White-Red Card fundamentally have to meet with various criteria to get lucky with the visa. Education must be of minimum graduate level with university certification of minimum 4 years of education which is further extended into relevant occupation will be the minimum expectation from an applicant for this visa. Finance is one of the important criteria to be produced at the time of application to prove to the Austria Immigration that the applicant is financially sufficed to survive in Austria. Work experience must go hand in hand with an applicant’s education and the applicant must have served in the senior level executive role to be eligible for the visa. Language specification is stringent in Austria as an applicant has to choose between German and English and must demonstrate requisite language skills in the chosen language to reinforce his eligibility checks. Desired age must be between 18 – 45 years to gain maximum points. The above are the requisites that Austria Immigration considers in granting an applicant with Austria Red-White-Red Card. Initially, the duration will be given for 6 months, which upon obtaining a job can be extended for a period of 1 year. On top of finishing this period too, the candidate can apply for an extension after completion of 5 successful and clean years of stay in Austria for a permanent residence status. A candidate can however bring his family as dependants to Austria provided the children are below 18 years of age. A candidate’s spouse can apply for Austria RWR card and can be entitled to work in Austria. Austria’s Red-White-Red Card is the easiest way to secure Austrian citizenship.